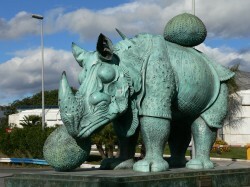 Spanish art is the visual art of Spain and that of Spanish artists worldwide. Whilst an important contributor to Western art (particularly influenced by Italy and France) and producing many famous and influential artists including Velázquez, Goya and Picasso, Spanish art has often had distinctive characteristics and been assessed somewhat separately from other European schools. These differences can be partly explained by the Moorish heritage in Spain especially in Andalucía. 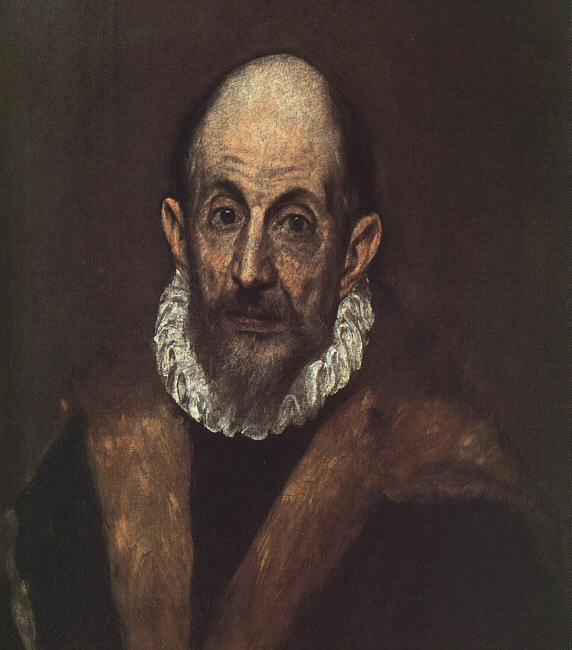 El Greco (1541–1614) was one of the most individualistic of the painters of the period, developing a strongly Mannerist style based on his origins in the post Byzantine Cretan school, in contrast to the naturalist approaches then predominant in Seville, Madrid and elsewhere in Spain. Many of his works reflect the silvery-greys and strong colors of Venetian painters such as Titian, but combined with strange elongations of figures, unusual lighting, disposing of perspective space, and filling the surface with very visible and expressive brushwork. 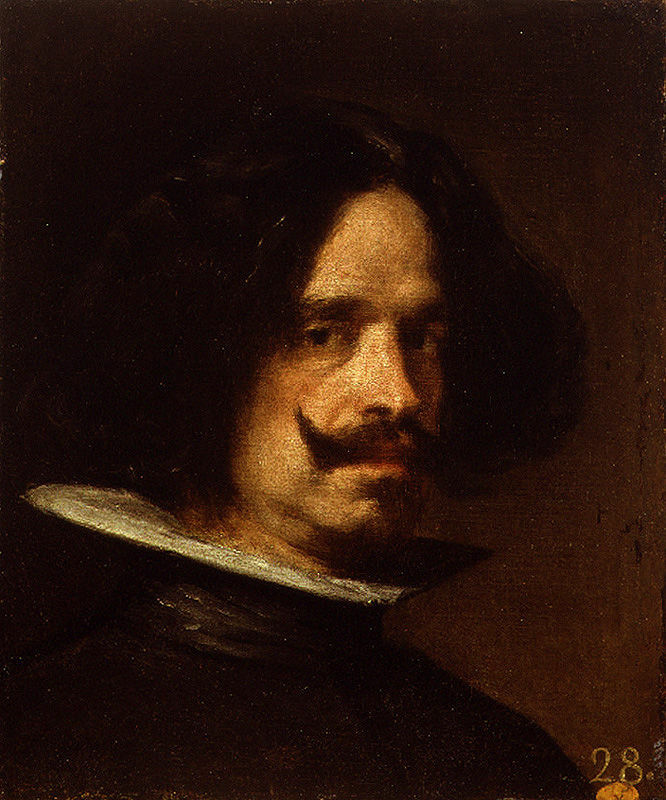 Diego Velázquez (1599–1660) was the leading artist in the court of King Philip IV. In addition to numerous renditions of scenes of historical and cultural significance, he created scores of portraits of the Spanish royal family, other notable European figures, and commoners. In many portraits, Velázquez gave a dignified quality to less fortunate members of society like beggars and dwarfs. In contrast to these portraits, the gods and goddesses of Velázquez tend to be portrayed as common people, without divine characteristics. Besides the forty portraits of Philip by Velázquez, he painted portraits of other members of the royal family, including princes, infantas (princesses), and queens. Francisco Goya was a portraitist and court painter to the Spanish Crown, a chronicler of history, and, in his unofficial work, a revolutionary and a visionary. Goya painted the Spanish royal family, including Charles IV of Spain and Ferdinand VII. His themes range from merry festivals for tapestry, draft cartoons, to scenes of war, fighting and corpses. In his early stage, he painted draft cartoons as templates for tapestries and focused on scenes from everyday life with vivid colors. During his lifetime, Goya also made several series of “grabados”, etchings which depicted the decadence of society and the horrors of war. His most famous painting series are the Black Paintings, painted at the end of his life. This series features works that are obscure in both color and meaning, producing uneasiness and shock. Picasso’s Blue Period (1901–1904), which consisted of somber, blue-tinted paintings was influenced by a trip through Spain. The Museum Picasso in Barcelona features many of Pablo Picasso’s early works, created while he was living in Spain. 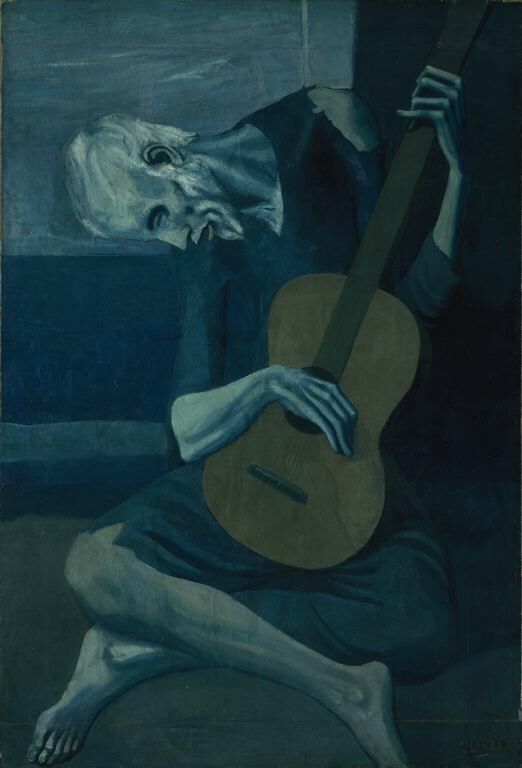 There are many precise and detailed figure studies done in his youth under his father’s tutelage, as well as rarely seen works from his old age that clearly demonstrate Pablo Picasso’s firm grounding in classical techniques. Picasso presented the most durable homage to Velázquez in 1957 when he recreated Las Meninas in his characteristically cubist form. Salvador Dalí was a central artist within the Surrealist movement in Paris. Although Dalí was criticized for accommodating Franco’s regime, André Breton, the Surrealist leader and poet, asked him to represent Spain at the 1959 Homage to Surrealism Exhibition which celebrated the fortieth anniversary of Surrealism. In his most familiar painting, The Persistence of Memory, he paints with a precise, realistic style, based on studies of Dutch and Spanish masters, but with a subject that dissolves the boundaries between organic and mechanical and is more akin to the nightmarish scenes of the Netherlandish painter Hieronymus Bosch, whose Garden of Earthly Delights provided the model for the central, sleeping figure of Dalí’s work.